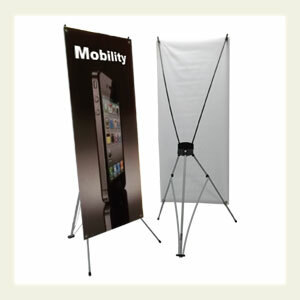 Portable roll-up banner stand with quality aluminum housing. Regular duty or heavy duty. Comes with carry bag. 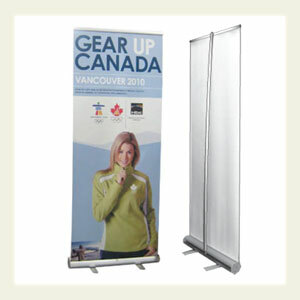 Available with full-colour 13 oz matte vinyl banner. Economical banner stand. Plastic finish. Easy to set-up. Comes with carry bag. 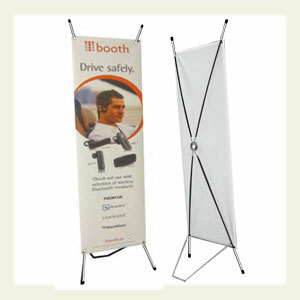 Regular duty banner stand. Metal finish. Easy to set-up. Comes with carry bag. Copyright © 2014 Acceleration Signs Ltd.